A truly international start list representing 31 countries from as far as Chile to Russia, and Kasakhstan to Australia, awaits the start gun for this Saturday’s Club La Santa IRONMAN 70.3 Lanzarote, the oldest half IRONMAN distance event in Spain. Whilst the UK accounts for almost 20% of total participants, Spain takes the lion’s share with (35%). Canary Island residents represent 29% of the 400-strong start list, with athletes from 5 of the 7 islands: Lanzarote (45), Tenerife (32), Gran Canaria (30), Fuerteventura (5) and La Gomera (2). 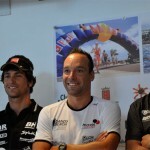 The 6th edition of the IRONMAN 70.3 Lanzarote gets under way at its traditional headquarters, Club La Santa. The 1.9 km swim in the resort’s lagoon kicks off at 07:30, followed by a new 90 km bike course that consists of one long, and one shorter loop: a climb through Soo and Muñique, passing Los Dolores Church in Mancha Blanca and heading over the spectacular landscape of the Los Volcanes Natural Park. Athletes then enter La Geria, the island’s beautiful wine region, facing some challenging climbs as they approach the turn point at Uga. On arrival at Club La Santa, they head out onto a second loop along the same course, this time turning around at Los Dolores and back to the resort’s stadium into T2, before the final 21.2 km run through La Santa village. Our winners are expected to cross the line at around 11:40, with an expected bike, and possibly race record in view of this faster course. He will certainly not have it easy. 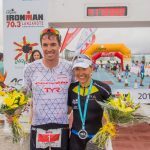 Joining him is Swiss Olympian Ruedi Wild, 4th in this same event in 2014, and who already has two 70.3 wins this year, in Switzerland and in Taiwan. Italy’s Alessandro Degasperi, past champion and this year’s runner up at IRONMAN Lanzarote will also take the start, along with Frenchman Bertrand Billard, who could also upset Vandendriessche’s plans. Spain’s Emilio Aguayo Muñoz debuts at 70.3 distance in Lanzarote this week, following an excellent season. 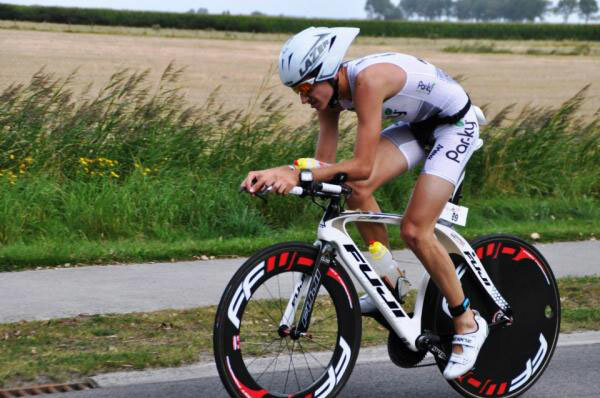 With several national titles to his name, at Olympic distance in Valencia and also at Challenge Salou, he explains: ‘The trip to Lanzarote isn’t too far, and my aim is to learn from some of the best at this distance and gauge where my own level is. I’m not thinking about the podium, but some of my best results have happened when I under the least pressure,’ he adds. Also confirmed is Catalan pro Albert Moreno and Tenerife pro athlete, Ricardo Hernández Marrero, a short distance specialist who has just clinched the Canaries Triathlon Series title. The female start list also packs a punch: British phenomenon and winner of the 2017 IRONMAN Lanzarote and a string of other podiums this year, Lucy Charles, is firm favourite for the win. ‘I’m approaching this race as a training exercise for Kona, but I’m a competitive person so I´m going to enjoy it. I think the new course will make for a much more exciting race, it looks very challenging and that’s just how I like it!’ she reveals. Belgian pro athlete Alexandra Tondeur will be hard on her heels. 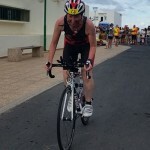 One of Vandendriessche’s Itzu team-mates, Tondeur has done extensive training in Lanzarote and is also preparing for Kona. Lining up alongside her will be seasoned professionals like Anne Haug (GER) and Svenja Thoes (GER), winner of her Age Group IRONMAN World title in 2016. Spain’s highest ranked pro, Catalunian Anna Noguera, comes to Lanzarote for the first time this week following a fantastic run this year. ‘I’m looking forward to racing on this spectacular island, it’s got everything a triathlete needs to train and achieve their goals,’ says Anna. 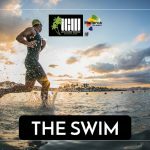 The Club La Santa IRONMAN 70.3 Lanzarote is co-organised by the Cabildo of Lanzarote and offers 50 slots for the 2018 IRONMAN World Championships in South Africa.